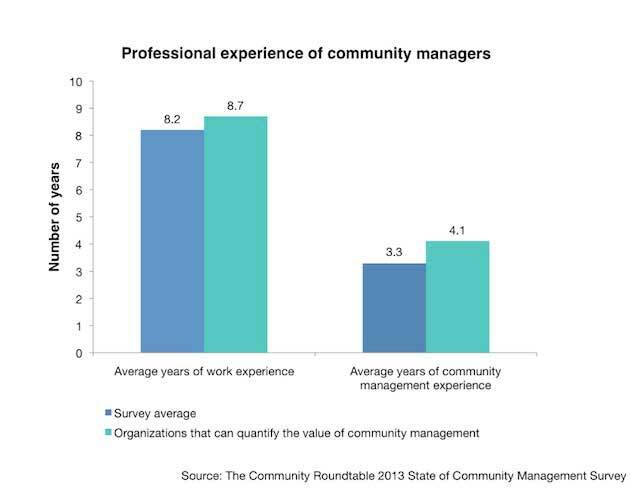 Typical community managers are mid-level professionals who are highly networked within their organization and valued most for their people skills, according to a recent report by The Community Roundtable. They are also generally less technical and more seasoned than is often portrayed, with an average of eight years of work experience and three years of community management experience. The 2013 State of Community Management Survey examined the role of community managers in businesses and how they integrate into organizations. Below, additional key findings.